Johnny Grave, the West Indies chief executive, is peeved I wrote in this newspaper that his team have “very ordinary, average cricketers”. He responded by saying that “criticism of our players and suggestions they are not world class is unfair”. Grave says they are dedicated. I never said they did not work hard or try their best. He is missing the point. West Indies’ results against the top nations are poor, that is why they are ranked No. 8 in the world, far lower than England. That is fact, not fiction. Johnny is not an independent voice. From his position as chief executive he feels he has to defend his team. But how do this team rate against sides captained by Viv Richards, Clive Lloyd, Garfield Sobers and Rohan Kanhai or Frank Worrell’s 1960s team? Where are the great names to rival some of the all-time great cricketers of the past? Sorry. I rest my case. When playing against England, West Indies should carry me around to motivate them. 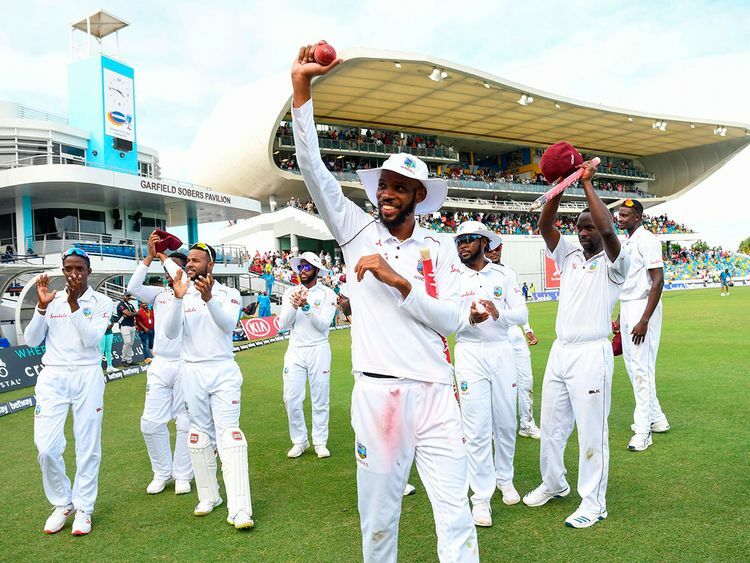 In 2017, West Indies were poor and lost badly in the first Test at Edgbaston and I said they were the worst West Indies team I had seen and England should beat them easily in the next match in Leeds. I stand by that statement. Then West Indies pulled off a surprise win at Headingley because England got complacent and declared, leaving them only 322 to make in a day and a bit. What is true is that this West Indies team gave our England a walloping. West Indies bowled well. Particularly Kemar Roach, who produced intelligent lateral movement on a good line and length with the odd short ball thrown in, and then waited for the cream of England’s batting to get themselves out. England were so poor they lost the Test match in two sessions when they were bowled out for 77 in the first innings. Keaton Jennings got a drivable half-volley slanted across him. I have watched it so many times and I still do not know how he failed to hit it for four, but instead nicked it to gully. Rory Burns did not give you confidence he would survive long and played on. Joe Root got stuck on the crease and was leg before. Ben Stokes missed a straight ball from around the wicket. Jos Buttler played a short ball badly and nicked it. Moeen Ali’s first ball was short and he just flailed at it with no control. Jason Holder made a wonderful double hundred, so trying to save the match was almost impossible. It was a matter of showing some pride and fight. But the second innings was no better. Jennings attempted a drive at a wide ball, slapped at it with his feet nowhere near the line of the ball and was caught at slip. Maybe, England took their eye off the ball and thought they only had to turn up to win. They were on the crest of a wave, having beaten Sri Lanka 3-0. But England messed up selection. They went for two spinners and dropped a major seamer in Stuart Broad. When playing abroad I always feel you should take note of what the opposition do. The home team know conditions and West Indies went for four seamers and no front line spinner. Deep down our selectors know the top three are so vulnerable. England cannot get consistent good starts, so the middle order are nearly always under pressure. To counter that, England have gone for longer batting line-ups to make up for the top-order failures. Nearly always the first innings of each team dictates the outcome of a Test. Bat poorly, give your wickets away easily, and you pay the price by giving the opposition the opportunity to control the match. All the England players should be made to understand this. If not, then drum it into them, as it is so important. Not many teams chasing the game recover to win. It is usually a slow, uphill struggle until you lose. Grabbing the initiative is the key. Come on England, you are better than that. Lick your wounds. Put your hand up and admit you played sloppy cricket. Do not pretend you were unlucky. No excuses, just play smarter. Show some discipline and patience and apply yourselves to Test match situations. Sell your wicket dearly. It does not matter how long it takes to make runs, but make them you must.